Fixed multi-word units can be focused from a qualitative perspective (according to their morpho-syntactic and semantic features) or from a quantitative one (for example, co-occurrence frequency higher than statistically expected). 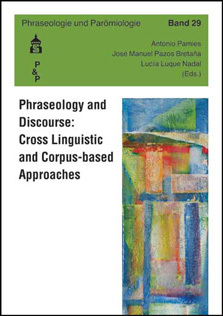 One can also try to connect both points of view, looking for causal relations between co-occurrence data and the dichotomy idiom principle vs. open choice principle, though the reality of text corpora shows that things are far from being so clear-cut, and that even the difference between phraseological and non phraseological combinations remains an open question, not to mention the number and types of phraseological sub-classes. Specialists from different countries and languages explain and debate their views and research on the presence of phraseology according to the results of modern empirical studies on real spoken and written language.